A 6x8 foot garage cabinet system perfect for organizing any cluttered garage! 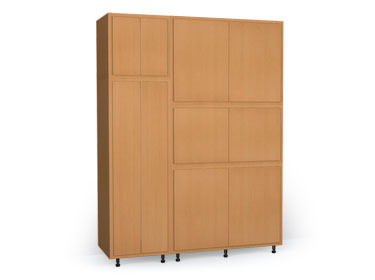 Garage storage cabinets perfect for golf clubs, lawn tools and more. Configure this system as provided or mix and match with other cabinets or pre-configured systems to create the ultimate garage storage system.